Upon RDM’s recommendation, our client, ITW Global Brands, faced the challenge of producing non-promotional email content in order to help improve open and engagement rates. The lack of time, and a tight budget were impeding factors. Create non-promotional content for emails in-house instead of using a third party. Engage subscribers with Max Grundy, propaganda artist, article. With the goal to provide interesting content to subscribers, we produced an article about Max Grundy and the art he created for ITW's brand Gumout. The client also tied in a giveaway as an incentive for engaging. 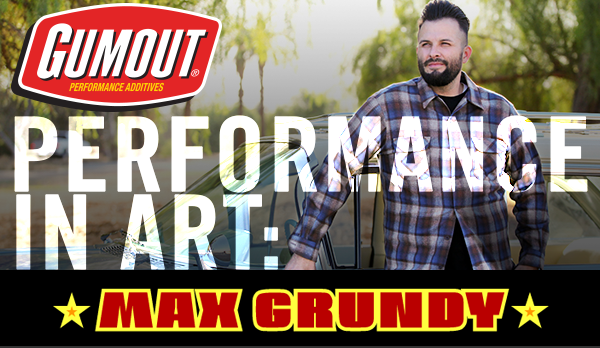 Our objective was to create and write non-promotional content by highlighting Max Grundy and the art he produced for Gumout. The client had basic information about Max. However, the available information wasn’t enough to write an interesting article. RDM interviewed Grundy to learn more about him and his technique. The interview provided content that would help draw in readers at an emotional level. ITW provided the design for the email and landing page. RDM coded the email. The email was optimized for the best reading experience, whether on a desktop screen or a mobile device. For measurable insights, the email send was split into two segments based off the email score. One segment included the highest email scores, which meant the subscribers opened the client’s emails most of the time. The second segment included new subscribers and those with low email scores. A low email score indicates a subscriber rarely opens the client’s emails. The long-term goals of the strategy are to retain the subscribers with high email scores and increase the email scores of new subscribers and those with low email scores. Keeping in mind subscribers were not opening emails as often, it was important to perform an A/B test on the subject lines. The segments were tested separately. We tested if asking a question that was personalized with the word,” you” would perform better than a general statement about winning a prize. Subscribers with high email scores were more likely to open the personalized question email. New subscribers or subscribers with low email scores were more likely to open the general statement about winning a prize. An interesting finding for both segments was subscribers that opened the general statement email were more likely to click through to the landing page than those who received the personalized question email. We will perform more A/B tests like these to see if our finding is consistent enough to adjust the strategy for future email campaigns. RDM addressed our client's need by creating and writing the first content email for the brand Gumout. The Max Grundy email increased open and overall engagement read rates.